Whether it is the local game of Chicago Cubs at Wrigley Field, Chicago White Sox at U.S. Cellular Field, Chicago Bulls at United Center, or out-of-state Notre Dame game in South Bend, Indiana, Stretch Limousine will get you there in style. No fighting traffic, no parking hassles and NO DUI's. We offer multiple vehicles in our fleet including sedans, SUVs, limos, party buses, and limo buses that can handle the requested number of guests in your party. Also, we can service all your pre and post game celebrations. We offer two kinds of sporting event services: Discouted Point-to-Point service or Premium Hourly service. We offer excellent point-to-point sport event rates in the entire Chicagoland as well as entire Midwest. We offer our discounted point-to-point service only for local pick-ups in the City of Chicago and suburbs only. All out of state trips must be rated hourly since there is no way to utilize the car in between. Just call our office for current special and availability or click on a logo of sport event arena below for your discounted flat point-to-point Chicago sport event limousine rates. Point-to-point rates depend on number of passengers, vehicle type and a distance to or from sport arena. Call now 866-425-0976 toll free for availability and rates! Thinking about a fun limo trip in Chicago? Want to do something different for your next big trip to the game? Make a Sporting Event part of your next big celebration by hiring a stretch limousine from Stretch Limousine. Your least favorite parts of the event might become your favorites, as we cover transportation, stadium traffic hassles, parking, and the trip home or out to your next Chicago destination, allowing you to party the whole time. The stocked bars in our Chicago limo stretches and SUVs help make the event extra fun, while all your worries about driving, parking and traffic are out the window. With your private Chicago limousine at your disposal, you can focus on your team -- everything else is guaranteed to run smoothly. And you can plan your whole day or night differently -- start with dinner before the game, or plan a trip out on the town for afterwards. What could make the big game more memorable than having your own private limo take you and your friends wherever you want to go? 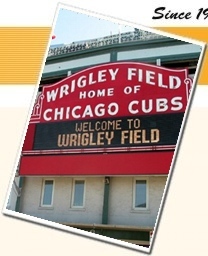 When you call, tell the reservation agent you want to book a Sporting Event package in your own private Chicago limo! Scroll down to see our featured cars, limos and buses with hourly sport event rates. When you book a sporting event hourly package with Stretch Limousine, not only you receive a premium limo service with complimentary bar and unlimited stops but you also qualify for a 10% sporting event discount*. Just pick the vehicle you like off of our FLEET page, scroll down to see hourly rates, and we will apply the 10% concert discount* to the rates advertised online. Picking up and dropping off individual event goers at multiple locations is all included. Your hourly sporting event service comes with unlimited stops and complementary bar in cars with a divider when passengers are over 21. We are #1 limousine company in Chicago for Sporting Events! 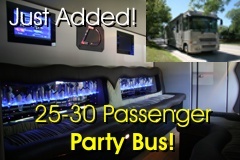 *10% Sporting Event and Concert discount applies to hourly service in Chicagoland area only. This discount does not apply to long distance, about 30 mile trips and out of state trips.